Zhou Xun: Zhou Xun doesn't mind being "the supporting role"
The 2007 Hong Kong Film Award is coming so reporter telephoned to interiew Zhou Xun whom was received the nominee for "The best supporitng actress". 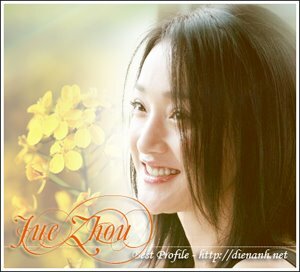 Mr Huang, Jue's manager said that last year thanked to the movie Perhaps Love, Zhou Xun won the Movie Queen. This year although she only got nomination of "The best supporting actress", as soon as receiving the invitation from committee of The Hong Kong Film Award, she agreed without hesitance. On April 14th she will go to Hong Kong and attend the promulgation ceremony. Zhou Xun, Movie Queen at The 2006 Hong Kong Film Award (sina.com).